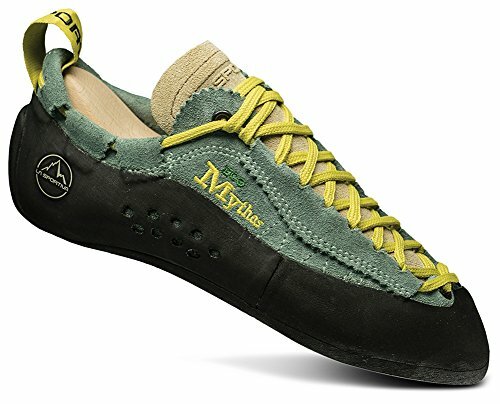 A re-edition of the famous Mythos climbing shoe made with Eco-friendly materials to minimize the environmental impact. 25 years later, this shoe still delivers amazing versatility and performance. 95% of the components come from recycled materials (soles, laces, webbing, tongue padding) and contribute to a reduced environmental impact (metal free tanning, biodegradable leather, water-based adhesives).